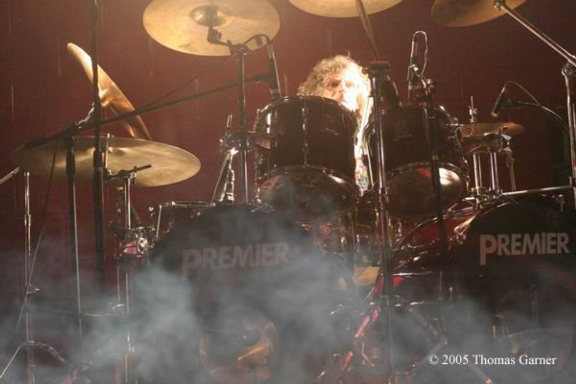 On Sunday January 6th, 2013, Bryan Sorenson, probably the greatest drummer to land in the Intermountain West Rock circuit, passed on to the next life almost two years to the day when Utah’s greatest guitarist ever, Parrish Hultquist and Bryan’s best friend died. Bryan Sorenson grew up in Salt Lake City and attended East High School when former Utah Governor and Presidential candidate, Jon Huntsman played keyboards for a band called Wizard and Utah’s most heralded rock lead singer, Rick Jackson and his band Mannequin were opening to sold out crowds at The Salt Palace. 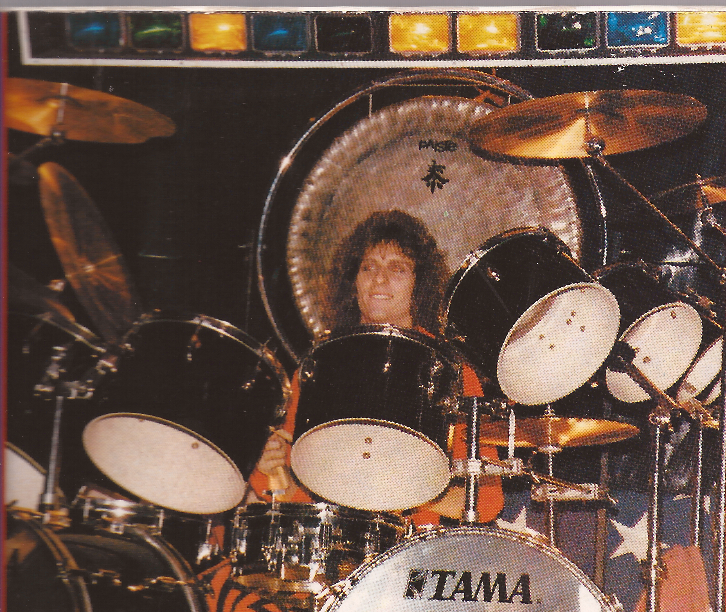 Bryan quickly became well known as he was finishing high school for a fierce double bass syncopated attack and was a well-studied follower of Black Oak Arkansas and Blizzard of Oz drummer, Tommy Aldridge as well as Cozy Powell of Rainbow and Whitesnake fame. 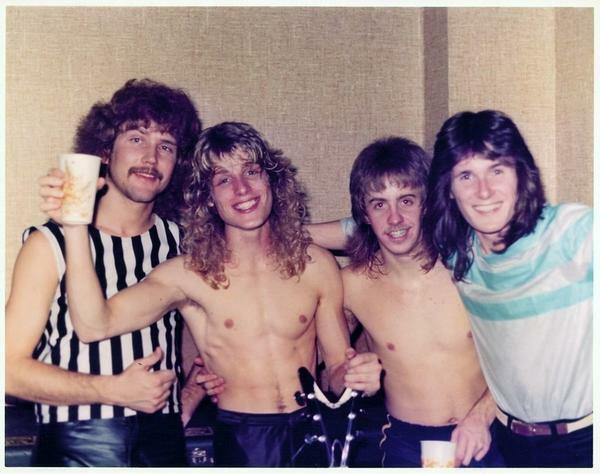 In the early 80’s Bryan Sorenson joined Mannequin as Rick Jackson was his favorite vocalist and wanted to work in the well-known Salt Lake City pop metal outfit. 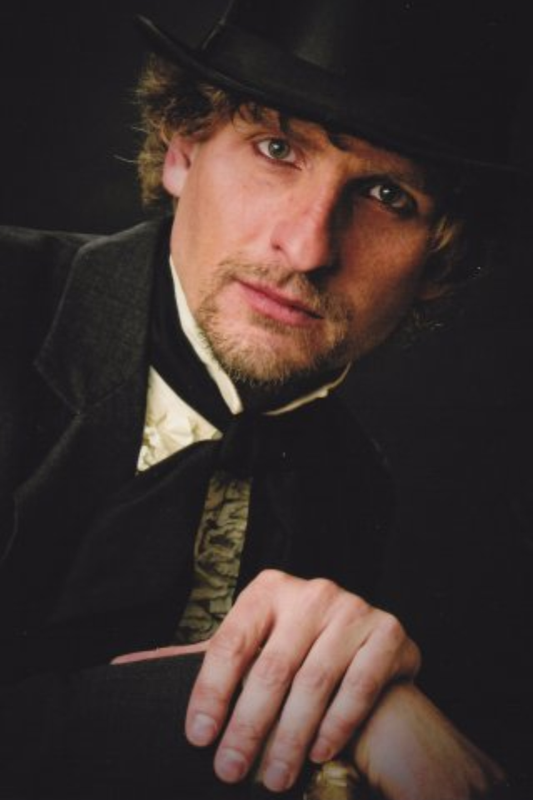 Bryan also played a short stint in Rick Jackson’s next band, The Jack before Parrish Hultquist and Dana Freebairn were able to persuade Bryan to join Moviescreen shortly after their first release. Bryan immediately knew the possibilities working with a guitarist like Parrish Hultquist, who could run circles around everything from Randy Rhoads, George Lynch, Edward Van Halen, Allan Holdsworth, Al Di Meola or whatever new inventive guitarist was on the horizon. Bryan’s time in Moviescreen was short lived due to a drunk driver t-boning his delivery truck and causing a major hand injury. After Bryan was fully recovered, Parrish and Bryan talked about putting a Super group together, taking the best musicians and performers from four separate Utah bands to create a band that had the potential for a large draw and national notoriety. It was Parrish’s idea to start the band. He knew the name he wanted; Megattack, a force to be reckoned with. 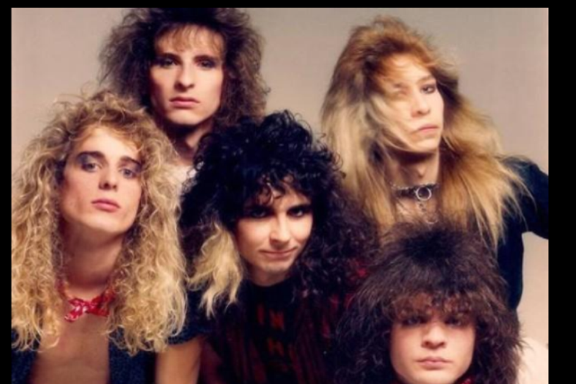 Bryan was persistent that Parrish listen to Rick Jackson; that he was so close vocally to Ronnie James Dio, Bryan’s favorite singer. 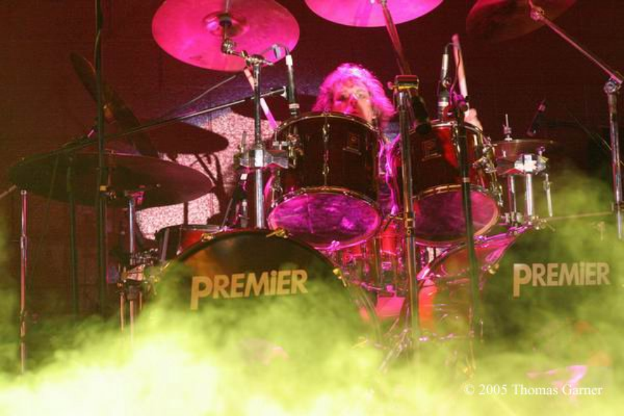 Parrish went to see The Jack, Rick Jackson’s band perform at Wolf Mountain in Park City opening for Night Ranger. Parrish was watching all the details. Rick had a killer voice and could control a crowd. The Jack was getting the largest draws at the time in Utah. Parrish wanted to get Rick involved, but, he had commitments with The Jack. Soon after, The Jack broke up and Rick was available. Parrish and Bryan went full throttle talking to Rick. After hearing Parrish and Bryan play; Rick was in. 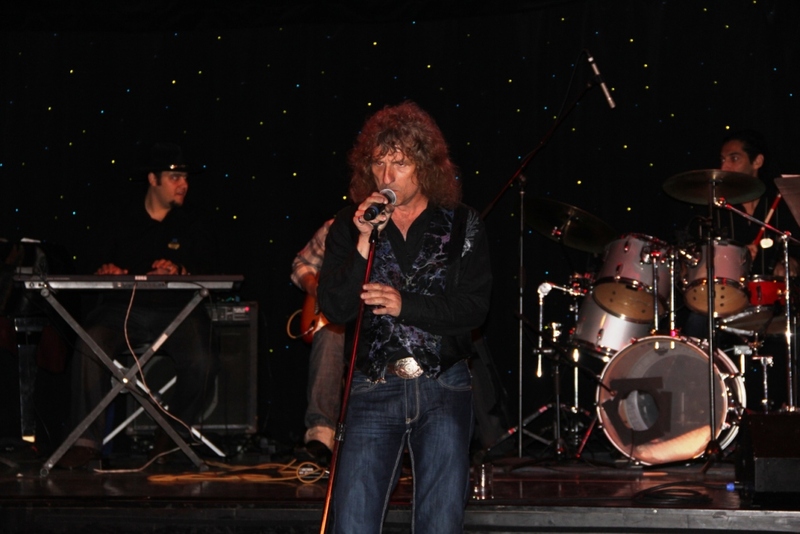 Pat Carter, a great bassist and showman joined on bass and Jay Gough was enlisted as a strong lead guitar foil in his own right as well as having strong songwriting chops. From the first time they jammed together they knew they were onto something. Word soon got out on the street about Utah’s first Super group, Megattack to the point that when they played their first show at one of the exhibition halls they had rented out at the Utah State Fairgrounds, 3000 people showed up! It was the largest show ever by a local band as a headliner. Major interest started coming around as they started playing 1000+ capacity gigs throughout Utah, Idaho and Washington State. Megattack finally recorded and released their first album, Raw Delivery which aired on local rock radio and got into the hands nationwide of loyal metal rock fans. 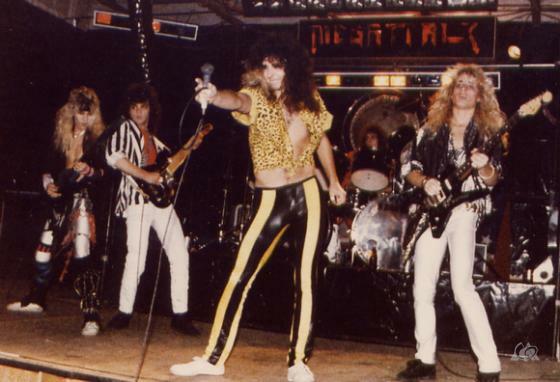 Dream Records in France wanted to release the album overseas in 1986 on vinyl with connections to the European Metal music press; it was a surefire way to get Megattack on stages in France and Germany and other metal festivals throughout Europe. 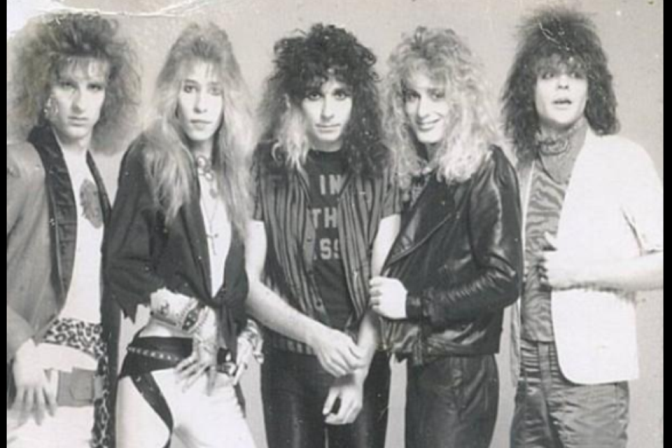 When the album was released in Europe, the press was going crazy with praise about standout tracks like “Whisper In The Dark” and “Stay With Me (probably Parrish’s strongest songwriting)” that featured power drums and guitar solos that would rival any metal of the day. Only one problem, five strong dominating personalities turned into major infighting and the band broke up before ever making it to Europe. 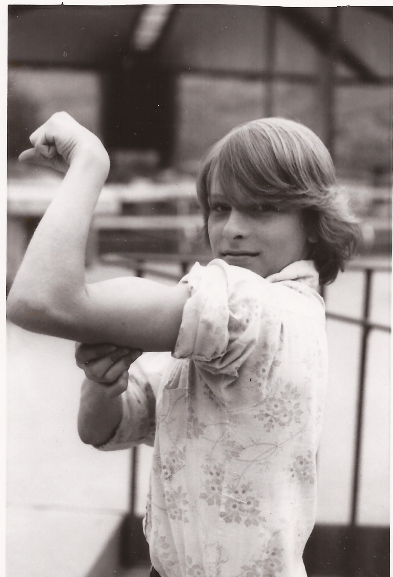 Bryan did travel over to Europe and purchased a suitcase full of Megattack albums and picked up some local European rock press magazines and brought them back to the states. The original vinyl goes for well over $200-300 on metal collector sites. 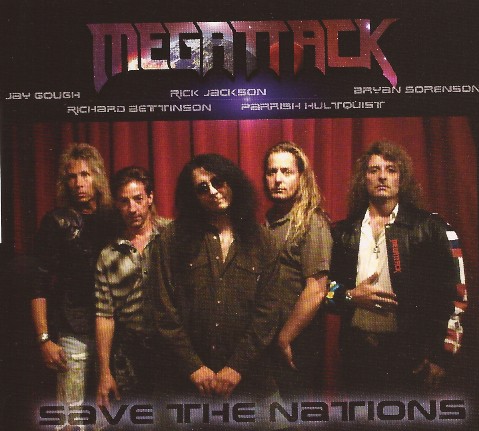 Bryan and Parrish did reform Megattack without Jay Gough and Rick Jackson in 1988, with a female lead singer, Kristina Bell and guitarist Tracy Swyder replacing Jay Gough. It turned out to be a mild club success, but, not with the impact of the original Megattack so the project was shut down. 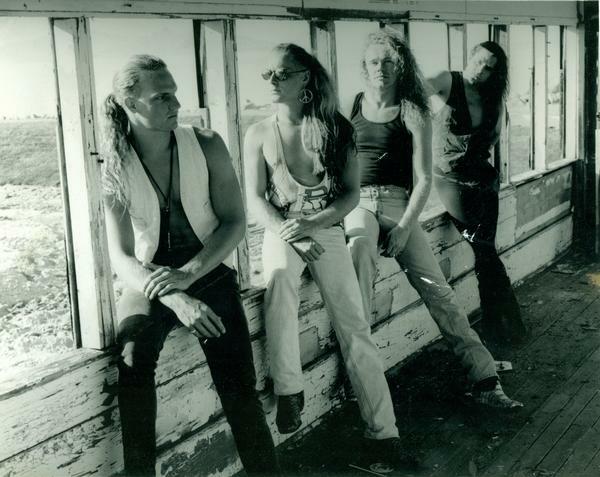 Bryan and Parrish joined arms with a new outfit called Wolfgang at the beginning of the 90’s with lead singer, Jeff Gragg. Wolfgang was another success and a more seasoned approach. 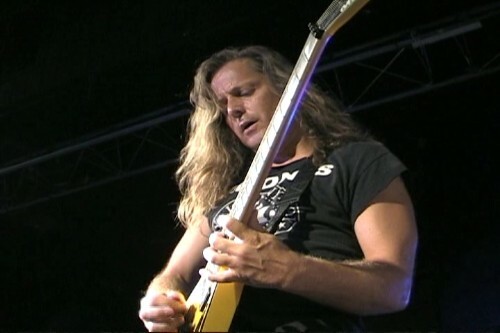 Although they played local venues, Wolfgang would tour and open for bands such as Tesla and Extreme. Bryan ended up stranded in Hawaii after a string of club dates for Wolfgang and ended up out of the band. Bryan would continue to play drums for other bands and also became an accomplished guitarist and vocalist. Parrish taught many of his licks on acoustic guitar and Bryan took pride in being able to show others Parrish’s songwriting ability, playing Parrish’s songs on acoustic as well as singing the original lyrics for anybody who was interested after Parrish died two years ago. Bryan and Parrish talked for well over a decade about how they wished they could get the original Megattack lineup back together and see what they could do. It was the strongest thing they had ever been a part of. While visiting me in Birmingham, Alabama in 2005, Parrish Hultquist talked about how much he wished Megattack could get back together. The biggest issue they had was that nobody knew where Jay Gough was. Just by chance, Jay Gough’s wife found me on The Donnas website message board after I had put a list of my all time favorite guitarists together. She sent a message “Is that Parrish Hultquist from Utah? 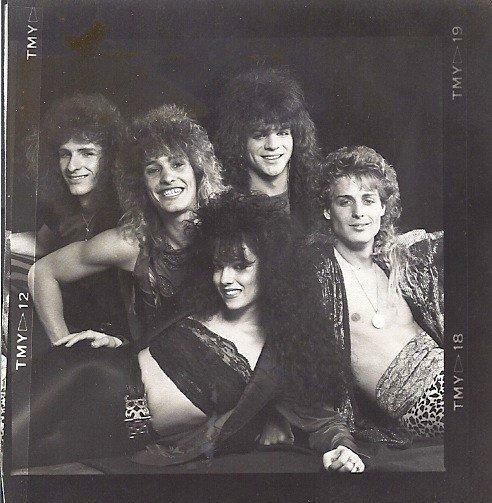 My husband, Jay, played in a band with him.” After that initial contact, within a couple of days, Jay, Rick Jackson, Parrish and Bryan were talking about getting the band back together to record a reunion album in Utah. 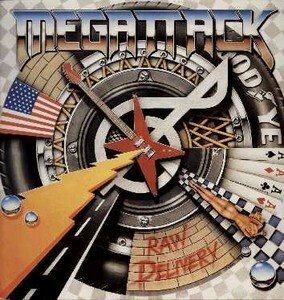 They had discovered after some research on the web that Megattack’s Raw Delivery, had been repackaged on CD over three different times throughout Europe and Japan and had sold well over 200,000 – 300,000 units without a dime going into the pockets of the band members. 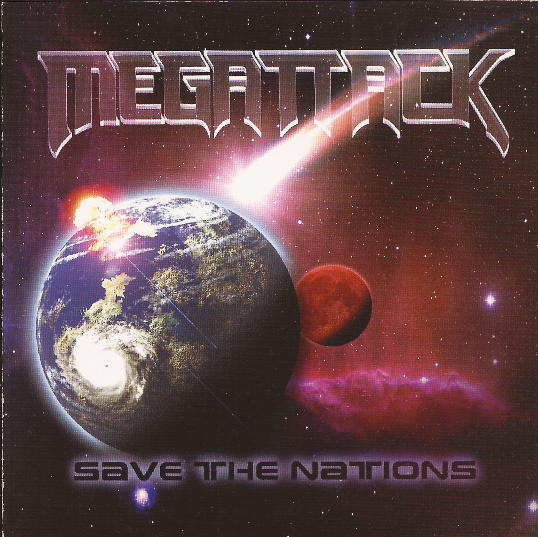 Megattack convened in Salt Lake City writing a bunch of new songs and recorded a solid album in late 2005 called Save The Nations. Megattack soon did a reunion show in Salt Lake City playing for old fans and their children as well as the band’s family members. The initial cover design was rejected as too simple and un-interesting by the band members. Bryan took it upon himself to work with computer graphic designer, Christopher Miller over the course of a night and a day to design the cover that was replete with dreams Bryan had about the last days and apocalyptic events as a precursor to the return of Jesus Christ. Bryan insisted that the inside jacket include a particular scripture. The eventual design got the thumbs up by all members of Megattack. 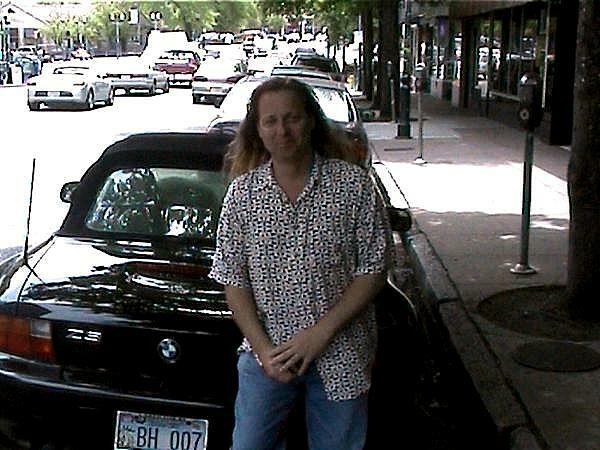 It was hard to get the band together for practicing and gigs due to Parrish’s health and needing to be back in Spokane, Washington for treatment on a rare brain seizure disorder. Megattack managed to pull one more gig with four of the original members and it was recorded to film. Someone had slipped something into Bryan’s drink and Bryan went into a coma somewhere outside and was found nearly dead the next day. Bryan lay in a coma for weeks in 2006 when Bryan’s mother, Margene flew Parrish Hultquist down from Spokane, Washington to visit Bryan at LDS Hospital. When Parrish entered the room and said “Bryan!” Bryan’s eyes opened up and he mumbled, “Parrish.” There were a lot of tears at that moment, but, Bryan had side stepped death’s door for a few more years. Parrish passed away only three years later. This was something difficult for Bryan as musical plans always evolved around Parrish and maybe a possible new gig with Jeff Gragg from Wolfgang. Parrish had been a lifelong songwriting partner and confidant. Bryan did move on and continued looking at offers to play drums again when Bryan met an unexpected end almost two years to the day that Parrish Hultquist passed away.